Senior Sidekicks is a revolution in elder care; focusing on early intervention, prevention, family support and empowerment. Before the elder requires in-home or nursing care, they and their families need some help, sometimes and some help just-in-case. That is our mission; you. Keep your health: When caregiving seems to take over your life your mental & physical health suffer. You cannot make your loved-one well by making yourself sick. Keep your family happy & keep your job: When caregiving cause you to miss deadlines at work or family occasions; get professional help. Keep your friends: Anyone would help at first. Many would help occasionally. Avoid exhausting your friendship circle. You need professional service; regular and reliable. Get that help, Call Senior Sidekicks. Why does Senior Sidekicks focus on caregivers? In 2008, our first year of operation a caregiver died young. She had ignored her own health until it was too late. Her Alzheimer’s-afflicted Mother survived! This incident demonstrated the need to focus on caregivers as well as their seniors. Times have changed. In 1910, the average life expectancy in Sangamon County, Illinois was 51-53 years. By 2010, life expectancy had reached over 75. Our ancestors never faced this phenomenon at the scale we now experience. Caregiving In America a recent research report states that 1 in 6 adults is already a caregiver! Call Senior Sidekicks to learn more about Caregiver Respite. You are not alone. 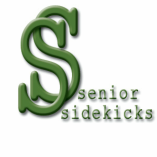 ﻿Senior Sidekicks﻿ is here for you. Read our weekly blog, A Senior Moment, for a discussion of practical issues caregivers face. We always like to hear from you on topics and feedback about your caregiving experience.